This stylish, vintage accent chair will make a fashionable statement in any living space. Providing generous supportive high back comfort, its perfectly proportioned curvaceous form is expertly upholstered in luxurious natural semi aniline leather with a neat piped trim. 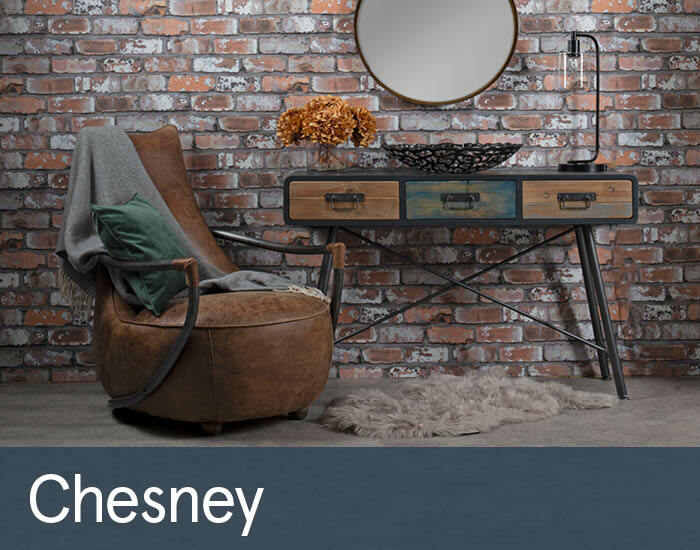 An industrial-style antique brushed steel rail gracefully wraps its frame to complement Chesney’s aesthetic appeal, also providing a useful arm-rest.